Just earlier this week I was writing about how I wasn't ready for summer to be over. Then bam i'm walking through Target the other day and see Nate's new fall line...and just like that now I'm excited for fall... or atleast switching out to some fall decor! 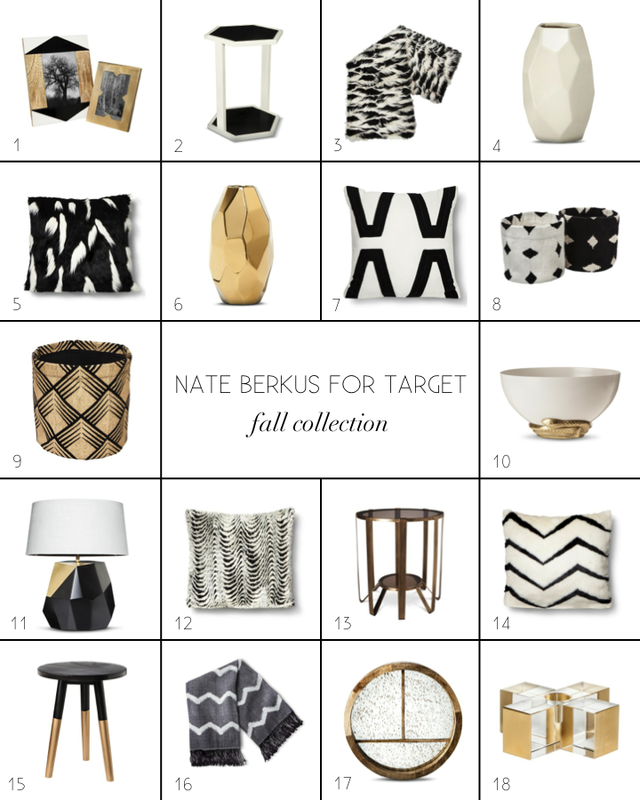 The Nate collections have always been a win with the continuous black, white, and gold color palettes...but this one is his best yet! 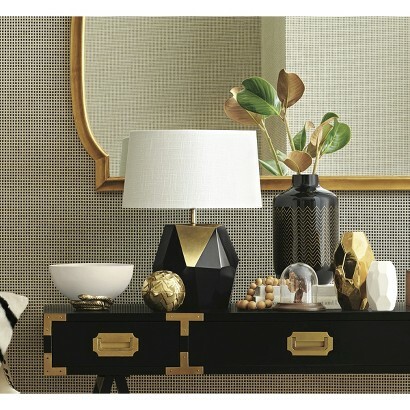 Too bad they aren't selling that desk!...Tarjay...you need to get on that! Some of my favorites but you can check out the entire collection here.